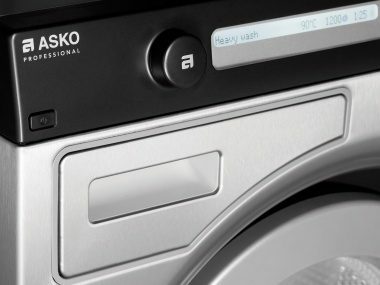 ASKO Commercial washers offer 28 different programs to choose from, three of which can be customized according to specific needs. Specialised to fulfil the strict standards of public health authorities, our disinfection program has an efficient pre-wash, which ensures that all proteins found in the laundry are dissolved and removed before the temperature is raised in the main wash. 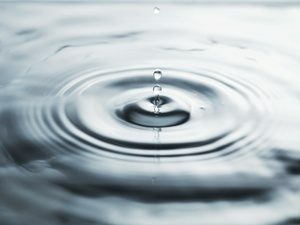 The disinfection program fulfils RKI - Robert Koch Institute standards when using DGHM - German Society for Hygiene and Microbiology approved detergents. These programs should be combined with specific detergent for proper disinfection. The specially developed mop program has an efficient cold prewash to remove larger dirt and gravel before the main wash.
By adjusting the time and spin speed you can choose how much residual moisture you want to leave in the mop. The program has three rinses with a high water level in the first rinse for an optimal wash performance. Our washers are recommended by both the Swedish and Norwegian Asthma and Allergy Associations and meet their stringent criteria for allergy approval. 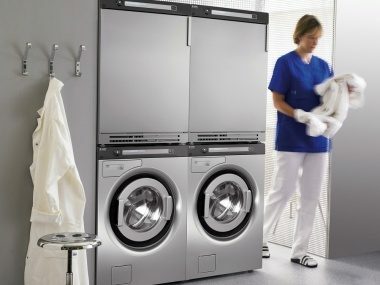 Our asthma and allergy approved washers have six unique programs.